Learn to create a text placeholder using PowerPoint and spruce up your training and marketing slides. Follow this tutorial to create Bill board graphic in PowerPoint. Where to use creative text placeholder in PowerPoint? 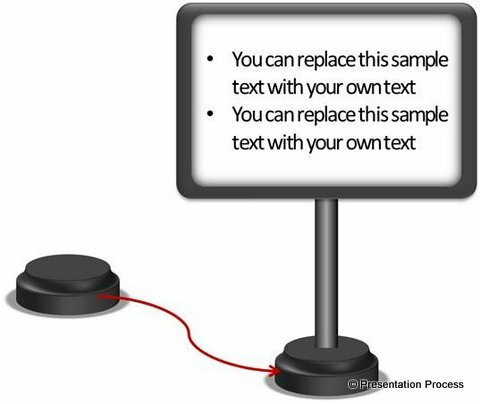 Sometimes while creating eLearning modules or marketing presentations you may find the need to showcase certain text on the slide. When you use plain boring text boxes – you run the risk of losing your audience attention. In such instances it helps to use creative text boxes that grab audience interest and highlight your message effectively. 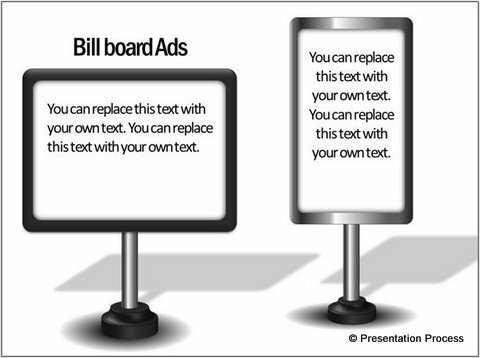 In this article, you will learn to create a bill board graphic that serves to showcase your text. Let us learn to create the graphic in a step by step way. 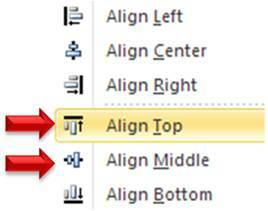 Align the two shapes using ‘Align Middle’ and ‘Align Center’ option under ‘Arrange -> Align’ menu. Fill the outer rectangle with black color. Select the shape and go to ‘Shape effects’ -> Presets -> Preset 2. Fill the inner rectangle board with white color. Right click on the inner rectangle and go to ‘format shape’. Go to ‘Shadow’ option and select ‘Inner shadow’ -> Inside center. The board is ready. It is time to create the stand on which the board rests. 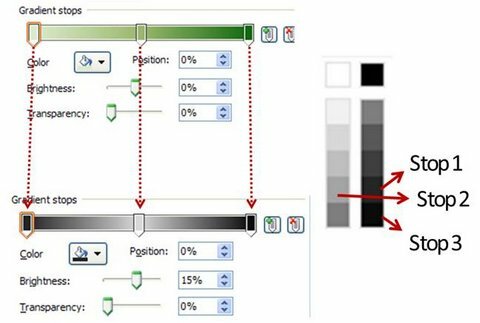 Using auto shapes menu draw a vertical rectangular block. Remove the outline. Right click on the shape and go to Format shape. 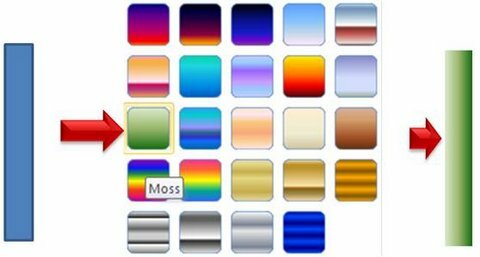 Select Fill -> Gradient fill -> Presets -> Moss. Place a circular disc at the bottom of the bar and add shadow. 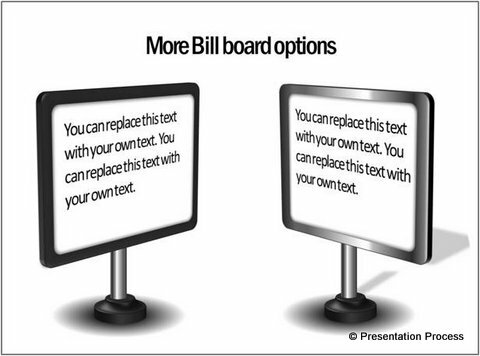 Add relevant text on the bill board.Your text placeholder in PowerPoint is ready! 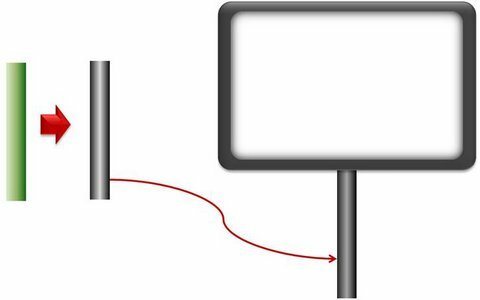 We wish to show you some variations of the bill board taken from our ‘PowerPoint Charts and Diagram Templates Packs for CEOs’. The two packs have more than 1600 Premium Charts, Diagrams, Graphs and Graphics to help you visualize every business idea imaginable. 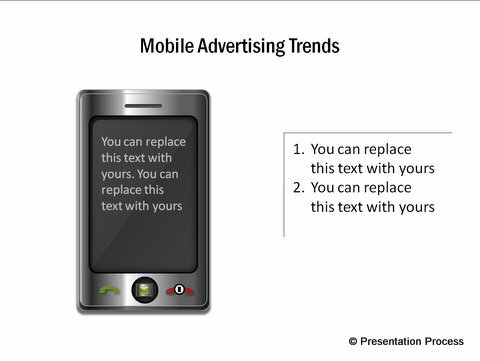 Creating interesting text placeholders makes your training slides and marketing slides look interesting. However, it takes a lot of time and effort to create slides that are truly remarkable. If you are a busy business presenter who can’t afford to invest the time needed to create professional looking slides and yet don’t want to compromise on the look and feel of your slides – we have an elegant solution for you. We recommend you take a look at our ‘PowerPoint Charts and Diagram Templates packs for CEOs’. All the graphics in the pack are 100% editable. Just choose the template that closely reflects your thought and replace sample text with your own text. Your business slide gets ready in no time. Of course, you can pick and stick elements from different slides to create your own templates too. 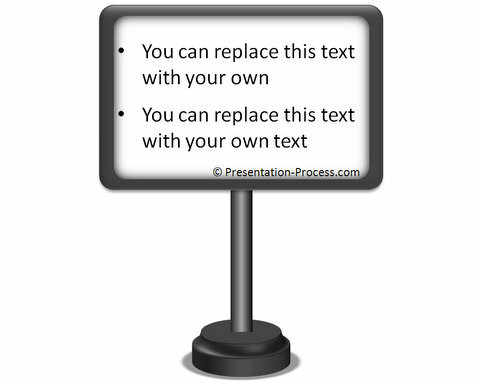 Creating professional quality presentations has never been easier.